Having passed Pink Shirt Day on Feb. 28, cyberbullying has the nation’s attention yet again. It is often assumed that cruelty on digital battlegrounds occurs only during grade school — that it’s somehow “outgrown.” By doing so, attention is drawn away from cyberbullying on university campuses across the country. “Because bullying is a power struggle at its core, you will find it throughout all points of life whether it’s university, your social settings as an adult, within the workplace, or within families,” said Mary Crocker, Provincial Manager of Respect Education, a Canadian Red Cross program dedicated to bullying and harassment prevention. Universities and power dynamics are as entangled as the headphones in your pocket. While instructors may have academic superiority in the classroom, it’s rendered irrelevant when students take to the internet and bully their professors. Each semester, CapU students post their two cents on instructors through websites like Ratemyprofessor.com, an anonymous instructor rating service. Many provide merited criticism. Others, however, are far cruder in their methods. Sexism and minority discrimination play a hand here as well. Linda Nilson, author of Teaching at Its Best: A Research-based Resource for College Instructors, said that student resistance is more likely if an instructor falls outside of the stereotype of a traditional professor, that is, white and male.“[Students] are also more likely to challenge female and minority instructors about their legitimacy, expertise, opinions, and teaching methods,” Nilson added. Thanks to online anonymity, bullies are not often held accountable. “Anonymity in and of itself is not inherently flawed,” Crocker said. In fact, it needs to be protected. The Supreme Court of Canada ruled in 2014 that government agencies must present a warrant prior to retrieving any personal or unstated online information. 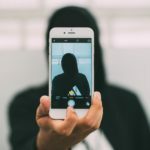 Nevertheless, “As long as people are unaware of how hurtful it can be to remain anonymous online, our ability to facilitate true human connection and relationships disintegrates,” says Crocker. Critics have pointed out that providing resources for victims and perpetrators is not enough. “The only way that we can make a difference is if we train the observers, the witnesses, and empower these witnesses to take a socially responsible stand and say this kind of behaviour is not acceptable,” said Kris Magnusson, Dean of SFU’s Faculty of Education, at the Cyberbullying at Canadian Universities symposium. CapU’s faculty and staff aim to foster a safe and welcoming place for their students. While most don’t pride themselves in hurting their instructors, students like the ones mentioned above do exist. Should you find yourself in a bullying situation, CapU’s Conflict Resolution & Harassment Advisor can help any and all students, faculty, staff, and administration.